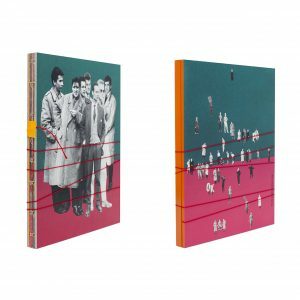 The Krzysztof Makowski Award and the title of Photographic Publication of the Year goes to a truly spectacular and unique book, impossible to be associated to any other publication, once you hold it in your hands. It presents a singular composition, which shows not only the perfect project match, but also the indivisible character of the works it conveys. This publication is striking, almost ornamental, where form and the challenging topic of archive collide. It is a complete project, extremely formal and refined in terms of production. The perfect, uncompromising book of Rafał Milach ‘The First March of Gentlemen’. Fifty publications have been submitted to the competition. After a long deliberation process, the jury has decided to admit nineteen books to the exhibition and the finals. They have been chosen on the basis of their high-quality graphic design, which always goes hand in hand with the photographic content. 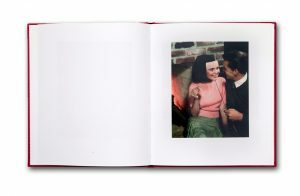 The jury has decided to commend those publications in which this unity is flawless including authorial project ‘Traces’ by Weronika Gęsicka. Where the project is the extension of the issue raised by photography and the resources are selected with exceptional accuracy. Each and every one of those books is a fully and outstandingly elaborated individual utterance.